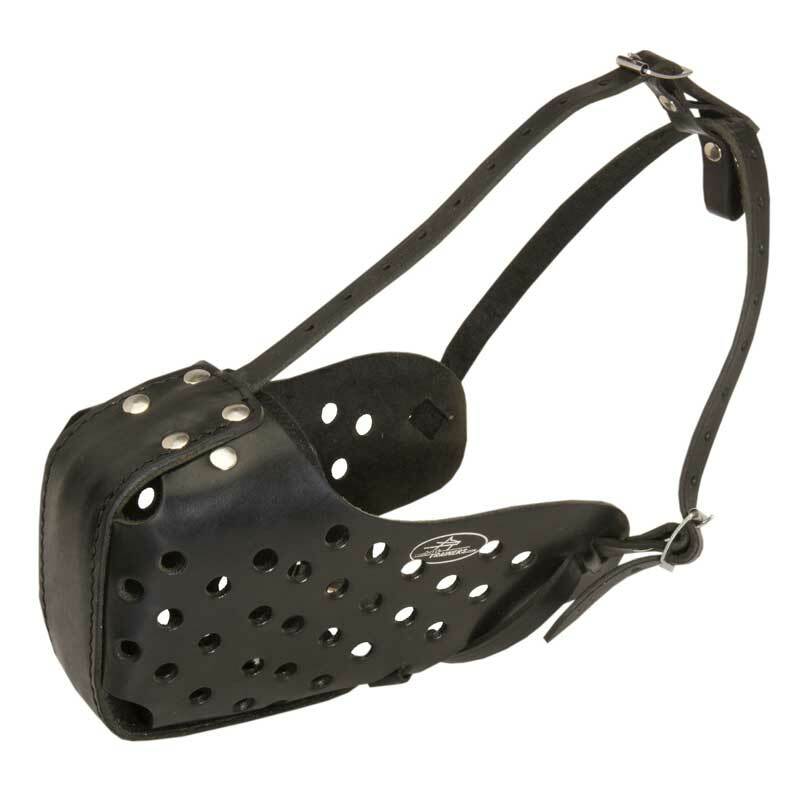 This Dog Muzzle is made of 100% full grain natural leather that doesn’t contain any harmful substances. 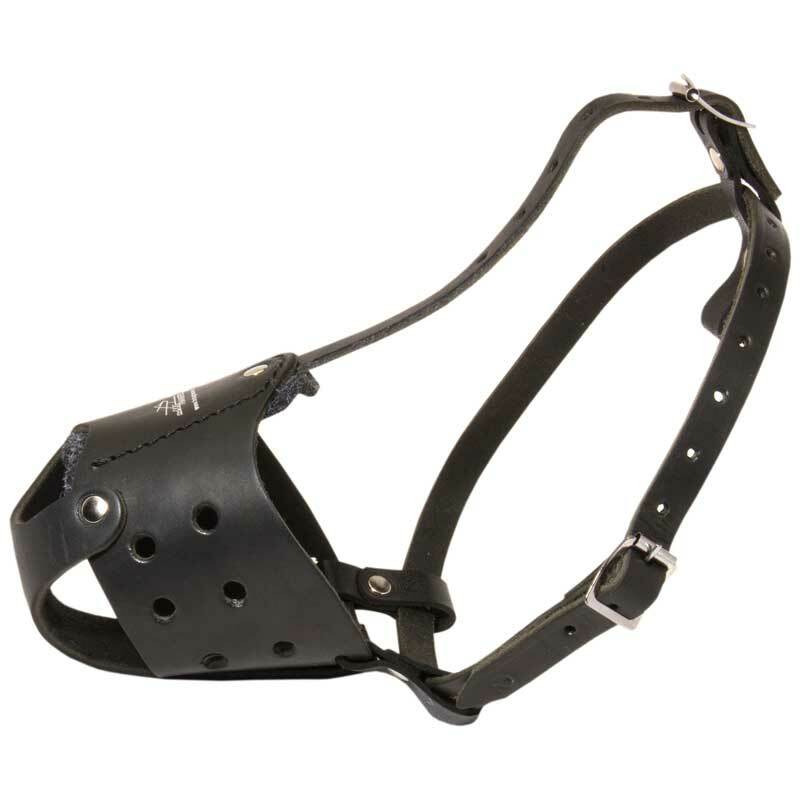 Thanks to its special snout-closed design and leather-covered steel bar your Rottweiler’s snout will be reliably protected from possible traumas during different kinds of dog training. 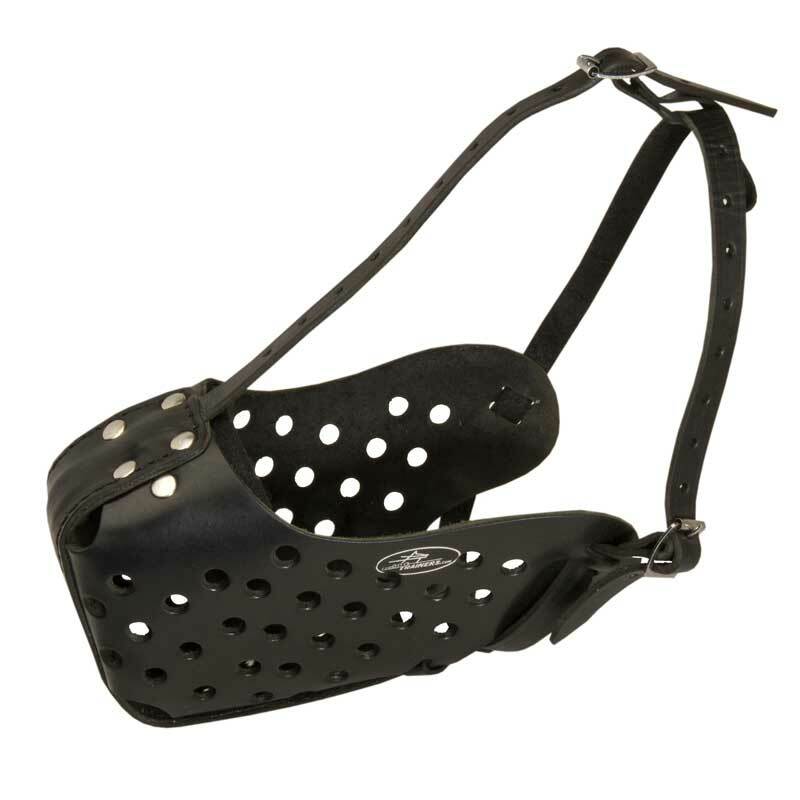 Special ventilation holes allows your dog to breathe freely as well as to pant and bark. But it protects him from wound licking, biting and picking up things that are dangerous for his health. 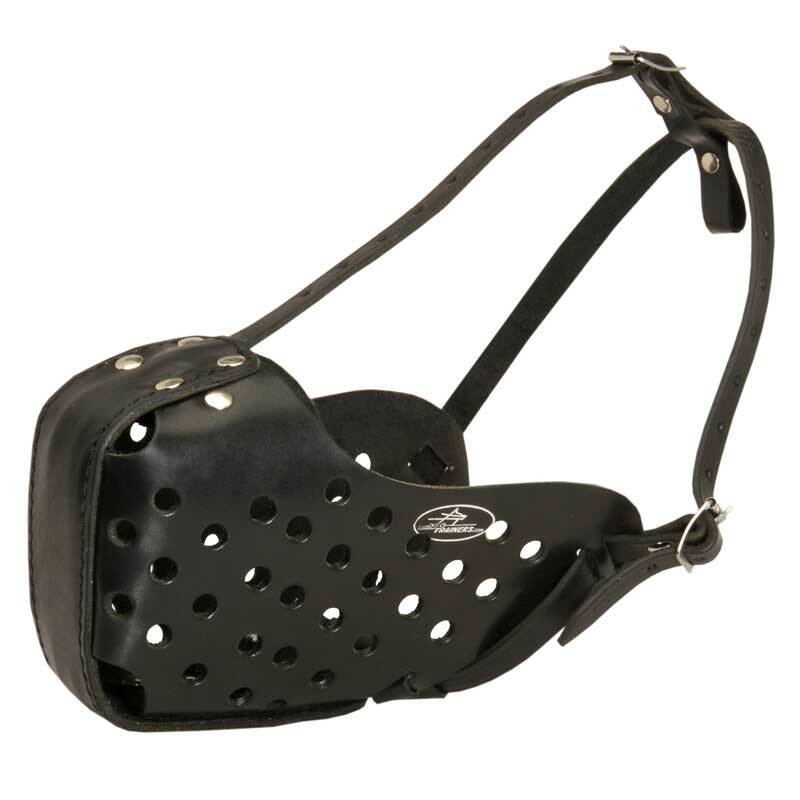 This Muzzle has been specially designed for training of working dogs who are involved in police and military work. 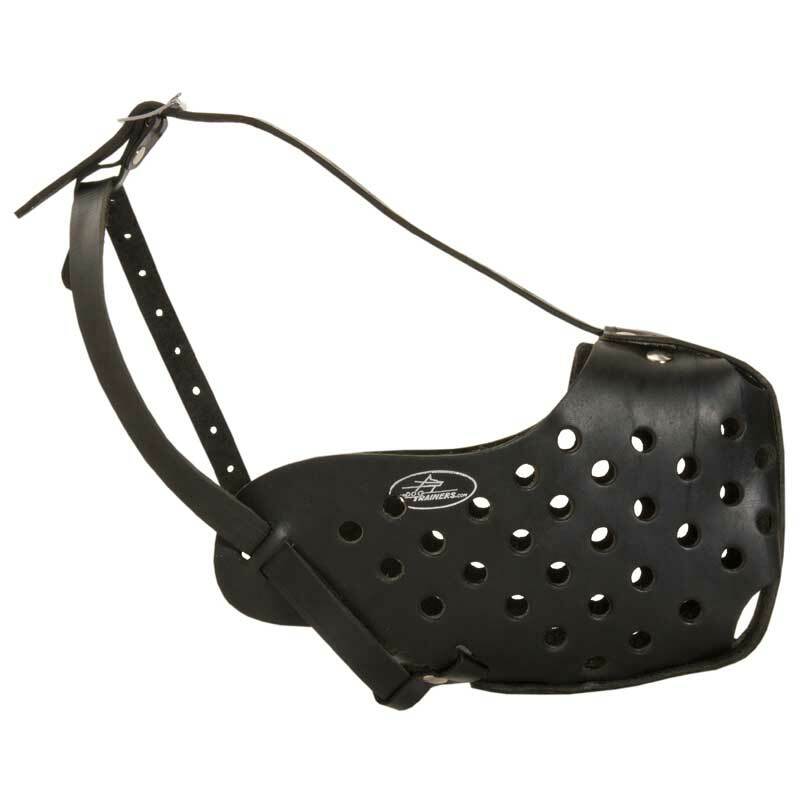 But you can also use it for everyday safe walking, obedience training and dog socializing.